I decided to check in on a bin I had set up with only 10 red worm eggs, November 28, 2010. To my surprise, I found several worms quickly, and the largest was this 3.5″ monster pictured above. 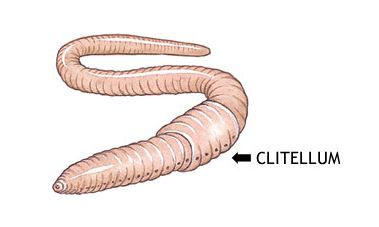 There was a visible clitellum, which means they have reached sexual maturity. 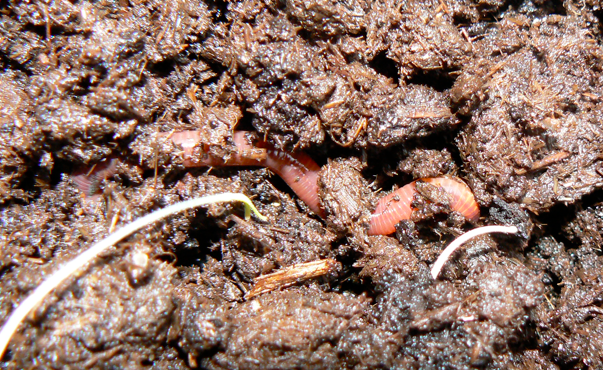 Red Worms will usually reach reproductive maturity in 2-3 months. Red Worms are hermaphroditic, and come equipped with both male and female reproductive organs. This little experiment is proving out that your starting number of red worms is less important than providing the right environment for your worms. Feeding: Simulate their natural environment (manure piles, decaying leaf piles) Feed in one part of bin when food is gone. Worm food includes: vegetable scraps, egg shells, coffee grounds, herbivore manure.